Tony Valdez, our protagonist, is a dispatcher, who is called upon by the Chicago police to help him find a fellow dispatcher who has disappeared under mysterious circumstances. In the course of the investigation, Tony will confront Chicago’s rich and powerful, its criminal underbelly, and his own past, in order to save this other dispatcher from a fate literally worse than death. So, that sounds good, right? You should totally check it out. And get everyone else you know to check it out too. Why are you giving it away for free through November 2? Because I love you, and so does Audible. Awwww! Slightly more seriously, however, it really is a nice “thank you” from both Audible and me to our respective (and overlappings) audiences, for the support we’ve been given over the years. It’s also and equally advertising for us both — to give people who haven’t tried one or both of us a way to check us out without risk, and if they like The Dispatcher, to check out the other things we do. Also, you know: 2016 has been one of those years you just might want to escape from for a couple of hours. If The Dispatcher does that for you, I’m delighted to have given that to you. Zachary Quinto is cool! Not a question, but yes, yes he is. How did you get him? We asked and he said yes. He was always very high on our list of potential narrators, so when he signed on we all did Snoopy dances. And, as I noted above, he did a simply terrific job reading it — just knocked it right out of the proverbial park. 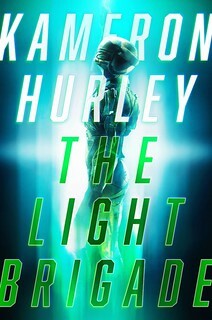 He makes the story better, which is a thing terrific narrators do. He seems to like it too! Which, you know. Is nice. Will there be a print/eBook version? 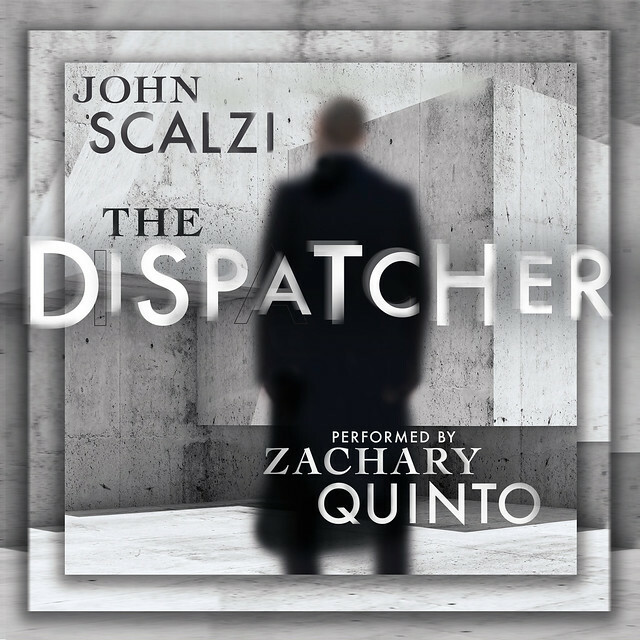 Audible has an exclusive on The Dispatcher through the rest of this year and part of 2017, after which it will be available in a print/eBook edition from Subterranean Press. I’ll have more information on that the closer we get to publication. But in the meantime, why not check out the audio version? It’s really good. Will there be foreign language editions, either in audio or print? I would imagine that if it’s successful in English we’ll see it in other languages in time. Let’s see what happens. I just listened to it! I want more! Will there be a sequel? Maaaaaaaaybe. If enough people love it and want more of it, I can definitely see coming back to the world and playing around in it, and with these characters. Anything else you want to tell us about it? Well, as it takes places in contemporary Chicago and features fantastical elements, it’s my first work of urban fantasy. I’m really excited about that since I really enjoy that genre, and so many of my friends have written fantastic work (literally and figuratively) in it. I also think people who enjoy thrillers and crime fiction will find a lot to like here — The Dispatcher is noir-tinged and overall just a bit darker than I usually go. Finally, as I noted earlier, I think novella-length is the perfect length for this particular story, so I’m really happy Audible wanted it at that length and give it a home. 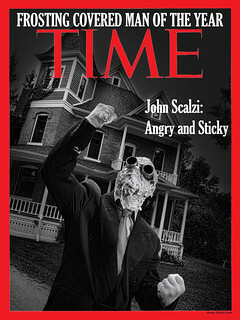 Oh, and: I like it a lot and had a hell of a lot of fun writing it. I think you’ll have as much fun listening to Zachary Quinto read it to you. On an entirely related note, if you are going to be at New York Comic Con this Saturday and Sunday, you will find me there, doing panels and having signings! My panel is “That’s Not My Baby! When Narrators Attack: How a Story Survives from Text to Audio” in room 1A02 on Sunday at 11am, followed by a signing of The Dispatcher posters at Table 22 at 12:30, and a stint at the Audible booth (NC5) at 4. If you’re coming on Saturday, I’ll have a signing at the Tor booth (#2136) at noon. Come on down, it’d be lovely to see you. Update: The Verge has a story on The Dispatcher, on how writing for audio differs from writing for the page.